Hello! It’s Sara from Confetti Sunshine here today. Every year one of my favorite family traditions has got to be our annual gingerbread house party! While I am not sharing the actual party today (you can find it later this week on my blog), I am sharing how I made these miniature fringed Christmas trees, which ended up being the perfect centerpiece for our gingerbread house party, and would be great for any holiday party! 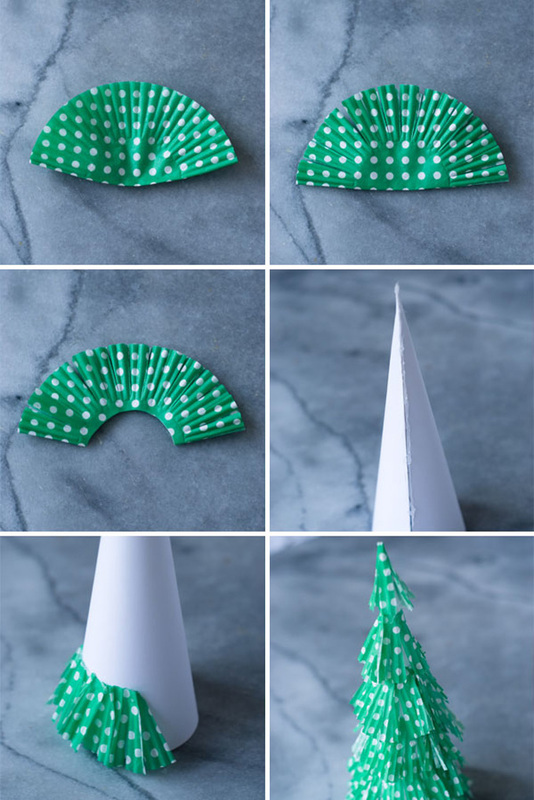 First, fold a cupcake liner in half. Fringe the edges of the cupcake liner. Cut out the center of the liner. 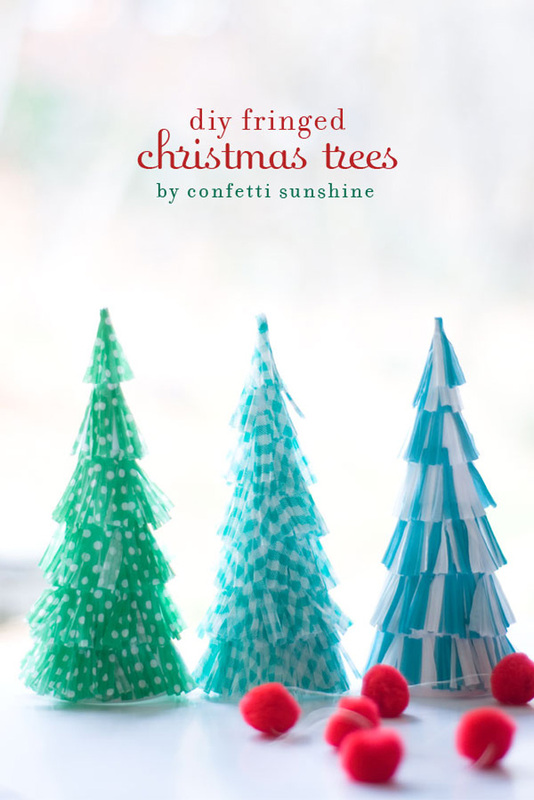 Next, print out your tree template onto cardstock and cut out. Glue the paper template together and let dry. 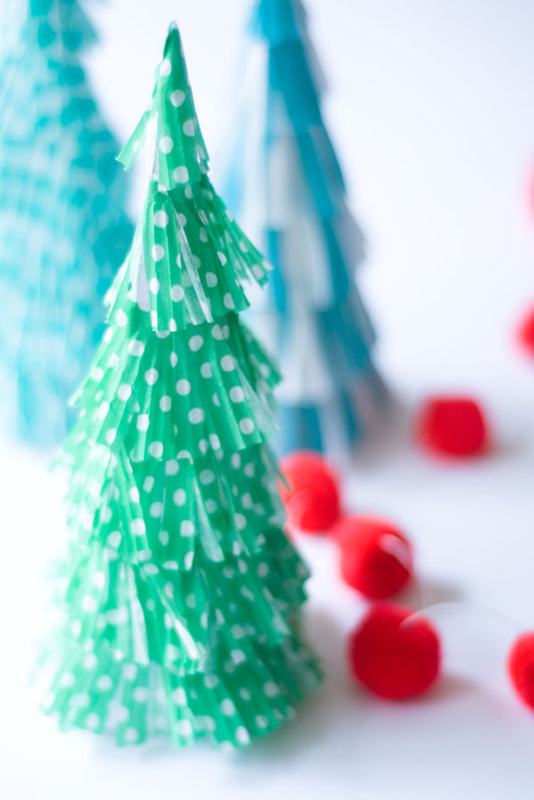 Then, glue the fringed cupcake liner onto the paper tree, starting at the bottom of the tree. Work your way up until you have glued cupcake liner all around your tree. (Here is a sneak peek of my gingerbread house party table.) 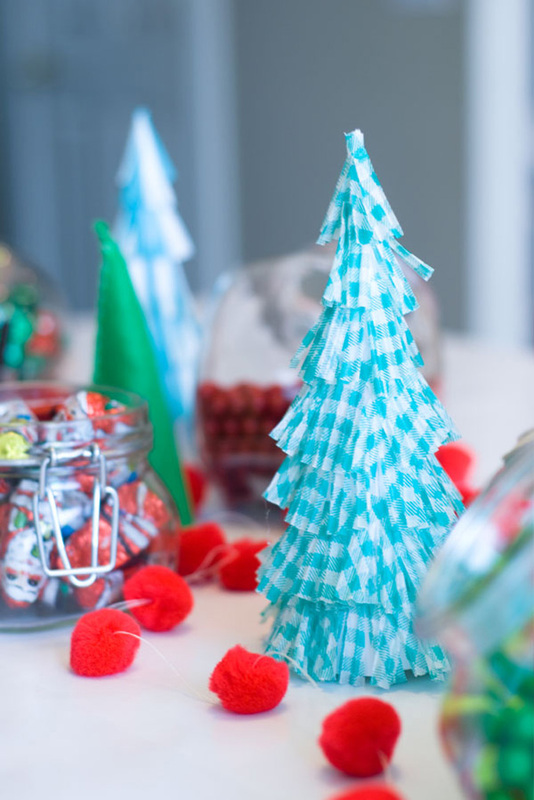 Make as many trees as you want for a festive holiday table! I also made some cute little pom pom garland and felt trees to accompany my little fringed cupcake trees for the table decorations. 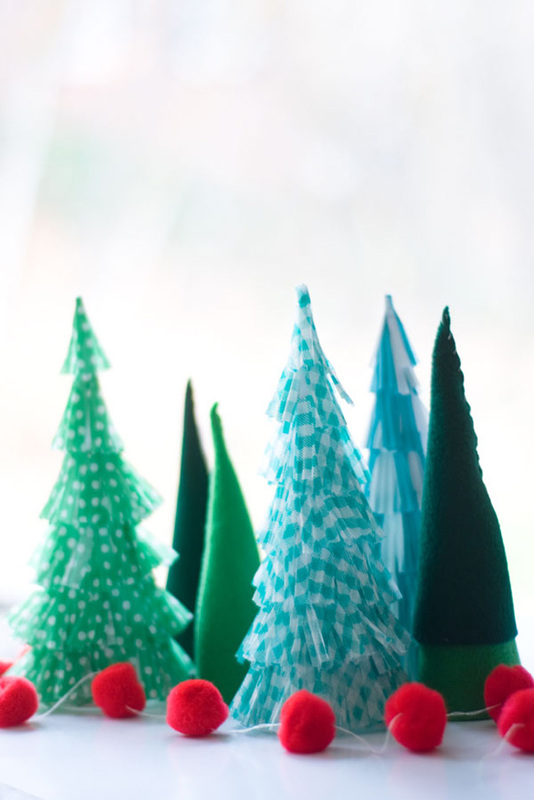 Find out how to make the felt trees here. I hope you enjoyed my cupcake liner christmas trees! Be sure to head over and see the rest of the gingerbread house party this week.